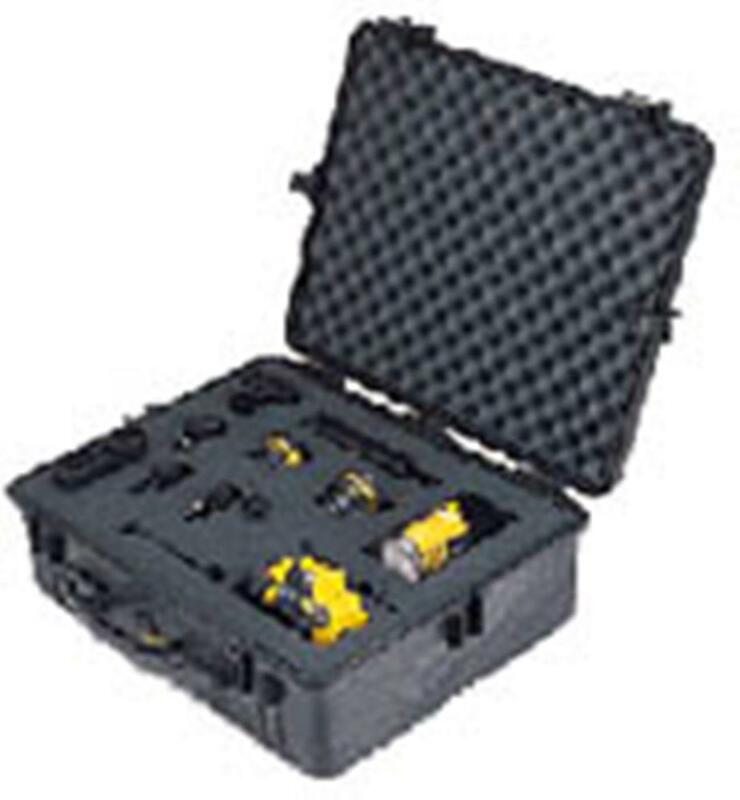 Designed for extreme protection during transport and storage. Customizable interiors allow for extra protection and inventory control. Made with a proprietary combination of homo-polymers and co-polymers, using an open cell core and solid wall construction, which is stronger and lighter than a solid core wall. Stainless steel pins are used in hinges and handles. The secret is the tongue and groove fit with a polymer o-ring acting as a waterproof seal. The Automatic Pressure Equalization Valve releases built-up air pressure while keeping water molecules out, resulting in a watertight case that is even easier to open. Interior (LxWxD): 54.6 x 42 x 20.3 cm / 21.51 x 16.54 x 7.99 in. Exterior (LxWxD): 61.9 x 49.2 x 22.3 cm / 24.39 x 19.36 x 8.79 in. Lid Depth: 4.4 cm / 1.75 in. Bottom Depth: 15.5 cm / 6.12 in. Total Depth: 20 cm / 7.87 in.